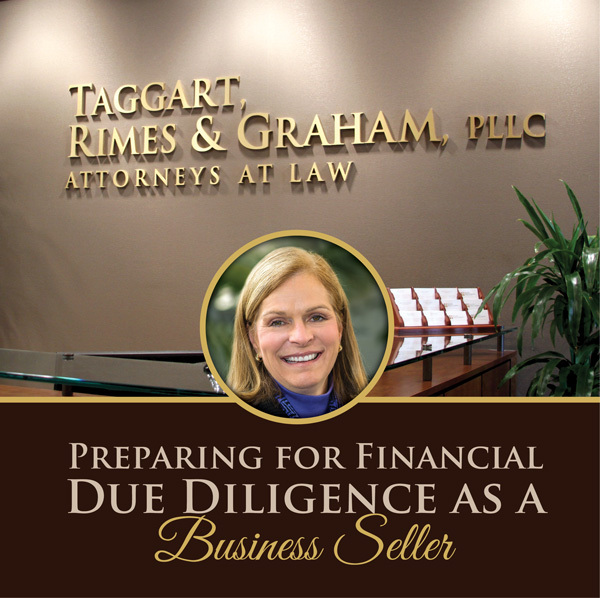 Assisting the buyer by preparing for due diligence can help ensure a smooth, rewarding sale of your business. For many business owners, the dreaded words “due diligence” send tingles up their spines. But if you survived the economic downturn and are considering selling your business in this more positive economic environment, you can make the due diligence process go much more smoothly by starting now and organizing the information that a potential buyer will want to review. Due diligence is merely the process used by the buyer to request from the seller any documents and materials needed to verify that all representations made by the seller regarding the business are true. The process usually occurs after the signing of a purchase and sale agreement. However, some due diligence may occur before the signing of the contract in order to assist the buyer in determining a price to offer for the business. In the past, due diligence may have been more of a perfunctory inquiry because the size of markets and the value of businesses were increasing rapidly. But today’s buyers have survived the downturn and carefully built up their cash reserves. The new buyer is focused on identifying and eliminating risks, and on conducting a realistic analysis of available cash flow and profits immediately following the closing. Financial due diligence is one of the most common reasons a sale falls apart, particularly for closely-held businesses whose owners have focused on growing and building the business and not on record keeping. With good financial records, a prospective buyer can readily verify earnings, key customers and suppliers, quality and age of assets, taxes, key employees, accounts payable, accounts receivable, inventory, and liabilities that will need to be assumed by the seller. Additionally, good financial records from the seller will assist the buyer in obtaining financing and can shorten the period to closing. Many businesses lack current asset lists and depreciation schedules, making determination of book value more difficult. As a hopeful seller, it is important to take the time to review your asset list and depreciation schedule regularly, and to remove all equipment and other property that you no longer own. Your accountant can assist you in making these kinds of adjustments. In addition, you should review your inventory list; remove all outdated, expired and/or unsellable items and move these items to a liquidator. Accurate asset and inventory lists can greatly shorten the time involved in due diligence. Tax returns and income statements will be key to establishing the value of your business. The buyer will likely want to analyze earning trends, various financial ratios, and working capital requirements, and will want to review profit and loss statements and tax returns for the past 5 years, along with accounts receivable and accounts payable. Meet with your accountant now to confirm that no adjustments need to be made for old and uncollectible accounts receivable and that all accounts payable are accurate, and prepare a list of business debts with copies of all related documents. Although financial due diligence plays a significant role in assessing a business’s value and risks, a buyer will also want to assess other risks. Buyers are increasingly concerned with intellectual property issues – such as whether the seller has the exclusive right to use all key trade names and has obtained trademark protection for such use. Licenses for software use also are becoming increasingly important. In addition, a buyer will want to review all key contracts and leases. Make sure you have copies of all key contracts and leases and that renewals and extensions are in place. If the buyer will be asked to assume these contracts and leases, the buyer will want to verify with the contractor and the lessor that the agreements are in effect and that there are no unpaid sums due or other defaults thereunder. If your business owns real estate and the sale or lease of said real estate will be part of the transaction, then assemble all deeds, title insurance policies, surveys, appraisals, and environmental reports. Having all of these from the start can greatly expedite the due diligence process. Most of these items should have been obtained in connection with any bank financing of any real property, and you may need to request copies of these documents from your bank. If the business has owned the real estate for a long period and has not undergone any recent financing, it is a good idea to obtain a current title search on the property, so that there is time to correct any issues before the buyer enters the picture. Many sellers find it difficult to understand that buyers are more worried about risks they do not know about or that they are unable to obtain full information about, than the problems that they do have full knowledge about. If the buyer can understand the scope of the risk, he can quantify it. Whether the risk involves potential or pending litigation, an environmental or other permitting issue, or an employee matter, there are many ways a buyer can obtain protection from these risks, and continue with the transaction if full disclosure is made. Be straight-forward with your buyer. Providing the information that you have as quickly as possible and in an organized fashion will help a buyer quickly assess the risks involved in an unexpected issue. In addition, discuss any known risks with your advisors now so that a plan to address existing risks can be developed early and provided in anticipation of the buyer’s request. To obtain the highest value for your business and to facilitate a smooth sale, prepare for the due diligence process prior to entering into the sale process. Do not underestimate the need to assemble your information and your team of competent professionals to help you review the information prior to communicating with potential buyers. The process may be cumbersome and time consuming, but for those who plan early, there can be significant rewards at the end.